Warner Bros. Home Entertainment has released the trailer for Justice League: The Flashpoint Paradox, available on Blu-ray Combo Pack, DVD and Digital Download on July 30th.In the film, the world is turned upside down as one of earth’s greatest super heroes – Flash – wakes up devoid of his super powers in the all-new Justice League: The Flashpoint Paradox. When time travel allows a past wrong to be righted for Flash and his family, the event’s temporal ripples prove disastrous, creating a fractured, alternate reality where the Justice League never formed, and even Superman is nowhere to be found. 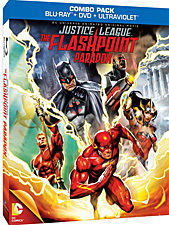 Amidst a new world being ravaged by a fierce war between Wonder Woman’s Amazons and Aquaman’s Atlanteans, Flash must team with a grittier, more violent Batman and government agent Cyborg to restore the continuity of Flash’s original timeline. Primetime television stars Justin Chambers ("Grey's Anatomy") and Kevin McKidd ("Grey's Anatomy"), the voices of Barry Allen/Flash and Thomas Wayne/Batman, respectively, unite with numerous greats of television and film to fashion the famed animated roles. 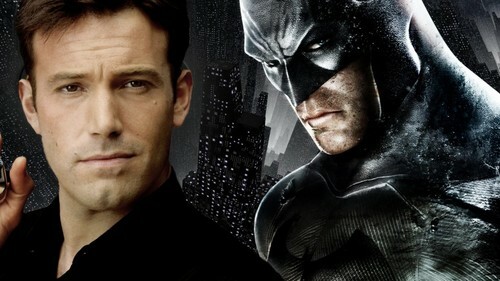 Adding to the celebrity-laden voice cast and providing thrilling additions to the Justice League series are Michael B. Jordan as Cyborg, C. Thomas Howell as Thawne/Professor Zoom, Nathan Fillion as Hal Jordan/Green Lantern, Ron Perlman as Slade and Deathstroke, Dana Delany as Lois Lane, Cary Elwes as Aquaman, Danny Huston as General Lane, Sam Daly as Superman, and Kevin Conroy as Batman.